Today I was looking through my pictures and came across the one below. I made this appetizer months ago and it was a huge hit. I can't believe that I forgot to post it. But it sure does taste good thanks to the salty bacon and sweet brown sugar! In my opinion salty and sweet is the best combo. This would be PERFECT for the next time the man in your life invites all his buddies over. Not to be sexist, but this just screams man food for me. It's probably because my boyfriend loves anything that is wrapped in bacon haha. I'll certainly be saving this recipe for football season. First, cut a small whole in the tater and place a cube of cheese in the opening. Dash tater with hot sauce. 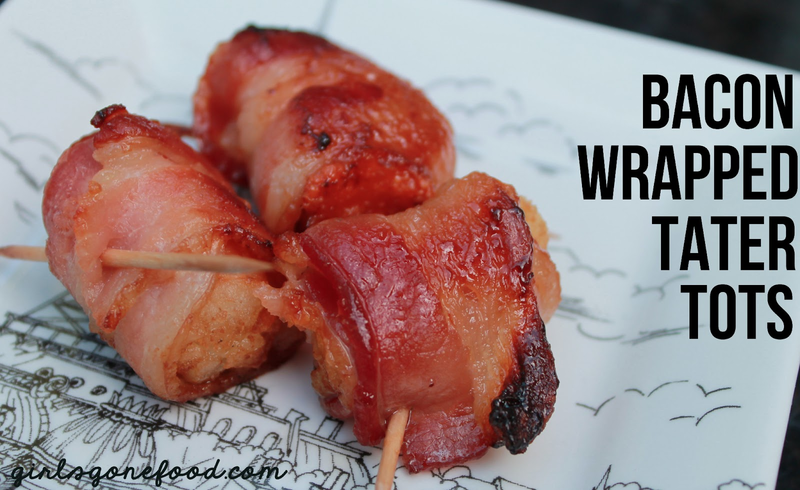 Wrap the tater with bacon and secure with a toothpick. 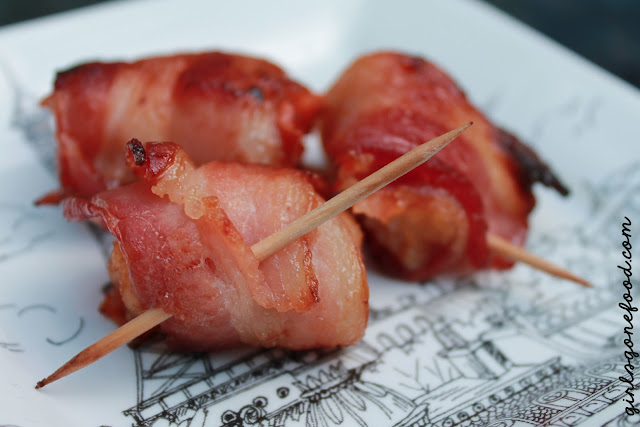 Roll the bacon bundle in brown sugar. Flip tater tots over and bake for a remaining 5-10 minutes. On another note, this is my first week co-hosting Tasty Tuesdays over at Anyonita Nibbles. What a great - and yummy! - idea! It's so true, bacon really does make everything better! Stopping by from the Tasty Tuesdays linkup party - thanks for co-hosting! What a fun idea! They look delicious. I'm a new follower stopping by from Tasty Tuesdays. Thanks for co-hosting! i agree, football season is perfect for this! i'm glad to be cohosting with you as well! i would chow down on a platter of these as well...thats why i would only make them for a party. they are too dangerous to be left alone with!! Bacon, potatoes, cheese and hot sauce? This recipe speaks my language! So yummy!